Whether you’re on board or not, Seann William Scott is heading to Lethal Weapon for season three as the new co-lead alongside Damon Wayans and we’ve finally got our first look at him in action! Scott will be stepping on to the scene as Wesley Cole, a war veteran and father who returns to Los Angeles after nearly a decade to be closer to his daughter and ex-girlfriend. Psych’s Maggie Lawson will be joining the series as well, playing Wesley’s ex Natalie Flynn. Judging by the first teaser, he’s certainly got the action chops to fit right in. You can check out the full teaser below to get a feel for what Wayans and Scott’s on-screen chemistry looks like! Back in May, Fox announced that they would not be renewing Clayne Crawford’s contract after he had exhibited “a pattern of toxic behavior on the set,” according to EW. Crawford had starred on the series as Martin Riggs since the show’s premiere in 2016 and did issue an apology statement, but Fox had already settled on Scott. “Seann is a fantastic addition to this already amazing cast. Lethal Weapon is packed with action, drama and pure fun and we can’t wait to see Damon and Seann together on screen. Matt Miller, his incredible team and everyone at Warner Bros. have been tremendous partners, and we’re thrilled to bring this show back for another season,” Fox entertainment president Michael Thorn said in a statement. While not much is known about the new season, the series shouldn’t have any trouble introducing Scott’s character and writing out Crawford’s as the season 2 finale found Riggs being shot by his half-brother, giving the series an easy out. 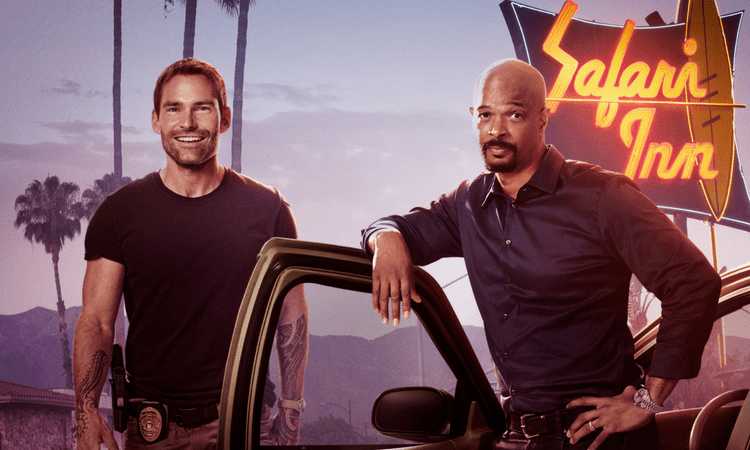 Sean William Scott and Maggie Lawson join a returning cast of Damon Wayans, Jordana Brewster, Keesha Sharp, and Kevin Rahm. Are you excited for Sean William Scott’s to join the series or are you cutting ties now that Crawford’s out? Season 3 of Lethal Weapon premieres on September 25th on Fox!